Development of the Ambler Mining District road project is now in federal hands. The Bureau of Land Management issued a Federal Register notice Feb. 28 requesting public input regarding what topics the agency should consider in drafting the environmental impact statement, or EIS, for the mining access road. Early environmental and financial study work for the proposed gravel road running west from the Dalton Highway for 211 miles to the remote Ambler Mining District has to this point been led by the state Department of Transportation and more recently the Alaska Industrial Development and Export Authority. The Ambler Mining District stretches for about 75 miles along the southern flank of the Brooks Range in the upper Kobuk River drainage. It has long been identified as an area of great potential for copper, zinc and precious metals but access issues have largely inhibited development. 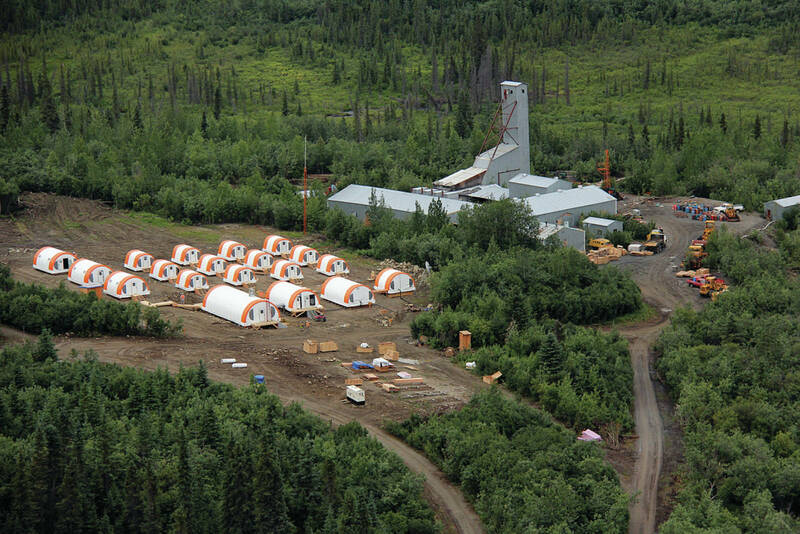 Vancouver-based Trilogy Metals Inc., formerly NovaCopper, is one company that has been busy exploring multiple prospects in the region. According to Trilogy, its well-defined Arctic deposit in the Ambler district likely holds about 2.3 billion pounds of zinc, more than 1.7 billion pounds of copper, 40 million ounces of silver and a small amount of gold. Trilogy CEO Rick Van Nieuwenhuyse said in a December interview with the Journal the company is shifting its focus from resource delineation to engineering and environmental studies. At the time, Van Nieuwenhuyse said he was happy the state is continuing to pursue the Ambler road. Absent the road, mining the isolated region is simply not feasible, Van Nieuwenhuyse and others familiar with the project have said. The National Park Service will also be conducting an economic and environmental analysis concurrent with the BLM’s EIS to evaluate the best route for a segment of the road that would cut through Gates of the Arctic National Preserve. The Alaska National Interest Lands Conservation Act, or ANILCA, passed by Congress in 1980, contains language directing the Interior Department secretary to approve a road through the preserve on the anticipation the Ambler Mining District would one day be developed. ANILCA also generally prescribes a final EIS be completed within one year of the start of the scoping period. However, the BLM has extended that timeline substantially for the Ambler road project, citing its complexity and the multiple landowners and managers along the route as well as the need to have detailed consultation with the numerous isolated communities in the region. Thus, the agency has self-imposed a March 2019 deadline for publication of the draft EIS and the final document is due Dec. 30, 2019. In October 2015, Gov. Bill Walker gave permission for AIDEA to spend $3.6 million left from the prior capital appropriations to the Ambler road after “pausing” it and other large projects the state had undertaken to review their necessity and financial viability as the state struggles with nearly $3 billion annual budget deficits. While the Juneau access, Knik Arm bridge and Susitna-Watana hydro projects were all halted by the administration, the Ambler road survived. To date, the State of Alaska has spent $26.2 million studying the project, money approved in capital budgets since 2011. The Ambler road was a large part of former Gov. Sean Parnell’s statewide Roads to Resources initiative. Use of the road would mostly be restricted to mining activity, but it could also help provide lower-cost energy and other goods to villages clustered near both ends of the proposed route, proponents note. While state general funds have supported the project to this point, money for actual construction, which AIDEA estimates at between $305 million and $346 million, would be financed by the authority through bonds and recouped through tolls paid by Trilogy Metals or any other companies that develop resources in the area. The plan is very similar to the Red Dog mine-DeLong Mountain Transportation System in far Northwest Alaska that development proponents have cited as a model for other isolated resource prospects in the road-scarce state. However, many residents of the area are skeptical of the road and the mines. They contend the construction of the road could disrupt the Western Arctic caribou herd that migrates through the corridor and is a primary subsistence food source for the villages clustered at each end of the route. The proposed mines have also drawn scrutiny for potential impacts to salmon and whitefish runs in the Kobuk River drainage. John Gaedeke, a wilderness guide and owner of a remote Brooks Range lodge, founded the nonprofit Brooks Range Council in 2012 to fight development of the road. He wrote in an email that he is "truly dismayed the project has gotten this far," contending the Walker's authorization to continue it means the state will spend on it that should be funding services, such as public education, that have been impacted by recent budget cuts. He does not have any confidence the EIS process will adequately address the concerns regarding the project he and others have said AIDEA has not resolved because "an EIS process never says no to development, despite whatever impacts are outlined," according to Gaedeke. "The potential impacts I would like to see most thoroghly vetted is the extent to which this road will open the land to industrial development for coal, copper, gold and lead," Gaedeke wrote. "The cumulative impact is difficult to assess. The state wants to justify the road by claiming all the potential industries it could reach. If that is the case we must also look at their cumulative environmental impacts." Lois Epstein, Arctic program director for The Wilderness Society, also a professional engineer, said her organization is pushing back against Ambler development to support local governments and Native village corporations in the area that have passed resolutions in opposing the project. Epstein also questioned why the state continues to spend money analyzing the road without related commitments to build the mines the road would access. “In the end this project is going nowhere because the state doesn’t have the money for it,” she said. Alaska’s ongoing budget deficits have forced lawmakers to cut any discretionary spending out of the state capital budget, the source for previous Ambler road funding. AIDEA anticipates it would net up to $150 million from an Ambler toll road even after accounting for another $270 million in maintenance costs over the 30-year life of the road — on the expectation Trilogy’s Arctic deposit would be one of several mines to spring up after the road was built. The authority plans to evaluate options to fund the roughly $7 million it will take to complete the EIS once the scoping process is complete, according to spokesman Karsten Rodvik. The BLM’s public scoping period is open until May 30.